If you’re coming to the West Country for a holiday this Easter and want to get out and about for some Easter egg hunting and other activities, we’ve come up with 10 cracking Easter events in the region. Happy Egg Hunting Easter! 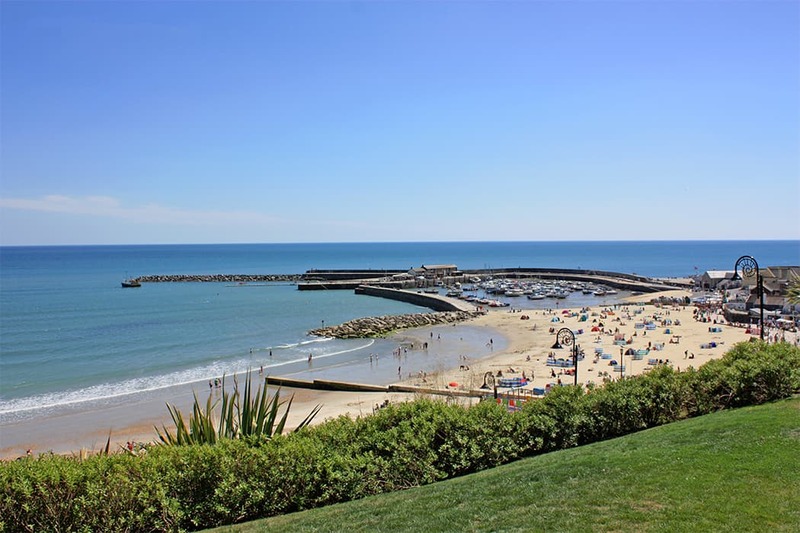 Lyme Regis, Dorset – If you’re slipping into a chocolate coma and fancy something a bit more traditional, Lyme Regis in Dorset is famous for its annual Easter Bonnet Parade. Decorate your bonnet with flowers, fruit (or anything really) and meet at the Baptist Church Hall for judging on Easter Day 2pm, then parade through the streets of Lyme Regis. There is also an egg hunt with a twist at Lyme Regis’s Town Mill (March 25- April 10). Children can take part in a Bunny Hunt and win a prize by seeking out ten ‘grain bunnies’ hidden amongst the ancient beams of this medieval building. Seaton, East Devon – Be one of the first to visit Seaton Jurassic, a brand new Devon Wildlife Trust visitor Centre on the coast at Seaton, East Devon opening on Saturday 26 March. The centre celebrates the unique geology and marine ecology of Dorset’s Jurassic Coast with lots of fun things to do including travelling through time to explore ancient landscapes and being shrunk to the size of a shrimp! What’s more they’re also putting on an Easter egg hunt on Easter Sunday. East Devon – Powderham Castle, the beautiful stately home near Exeter, is kick starting its new season with two weeks of fun filled Easter excitement. Throughout the holidays Willy Wonka will be in residence dreaming up all sorts of delicious chocolate delights and ‘Candy Capers’ for children in the castle’s Victorian Kitchen (interactive sessions daily March 25 – April 8for children aged 5-11yrs). Outside in the magnificent grounds there will be birds of prey demonstrations, deer park safaris, and the petting zoo to explore and on Easter Day you can see a convoy of colourful minis chug through the grounds in aid of Childrens Hospice South West. Dartmouth, South Devon – It’s going to be an Eggstreme Easter this year apparently at Woodlands Family Theme Park with lots of egg related events and offers. The family run attraction near Dartmouth is offering customers 2 for 1 tickets for park entry throughout the Easter Holidays as well as the UK’s first Easter Bunny’s Grotto where children can meet the Easter Bunny himself. There will also be thousands of free chocolate egg tokens hidden around the park for kids to find, and a craft workshop to make Easter souvenirs to take home. Dartmoor – There’s a perfect Easter planned at Becky Falls Woodland Park the beautiful Dartmoor waterfalls and visitor centre chosen as one of the World Wildlife Fund’s ‘Amazing Family Days Out’. Children will love finding the stamps on the woodland trail to claim their free mini-egg, plus there are lots of giant eggs to be won over Easter weekend in their children’s tombola. With hands-on animal activities and adorable meerkats to meet, all included in the entry price, it’s a perfect Easter outing. Bideford, North Devon – The Big Sheep a great day out dedicated to all things woolly will be open for its annual Easter Eggstravaganza Festival from Friday March 25 to Friday April 8. Keep the kids sugar levels up with over 30,000 chocolate eggs to find throughout the attraction (we’re hoping that’s spread over the month rather than daily), feed the new born lambs, watch sheep racing, sheep dog trials, and lots more. 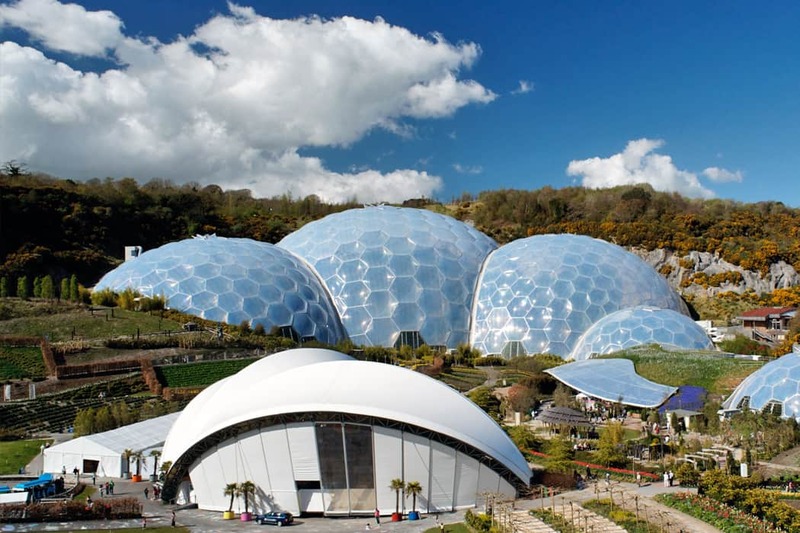 South Cornwall – If you are staying in one of our cottages in South Cornwall over Easter we highly recommend a trip to the Eden Project. As well as all the fascinating exhibits in and around its famous biomes , there are lots of extra activities being laid on for (another) Easter Eggstravaganza between March 25 – April 10. There will be a Great Golden Egg Hunt with 20 golden eggs hidden across the site, an Easter Trail to learn about interesting and unusual animal eggs, a giant egg & spoon obstacle course to battle over, an Easter themed fairground and lots more in what is sure to be a fantastic family day out. Track down the golden eggs at the Eden Project this spring. National Trust, West Country – The Cadbury’s Easter Bunny has been busy visiting all the National Trust Properties in the West Country and hiding clues around the grounds for children to follow and win an Easter Egg. There are over 70 National Trust Properties holding Easter Egg Hunts in the region during the holidays, to find one near your cottage visit the Cadbury’s website. Some of our favourite National Trust locations for egg hunts include Overbecks in Salcombe with its tropical gardens overlooking the sea, Lanhydrock House in Bodmin, or Hive Beach Burton Bradstock, Dorset.